Exit devices are those devices that enable opening of locks in emergency situations. They can also be called push bars, panic bars or panic devices. Basically, they are metal bars loaded with springs. They are installed on doors such that they open outwards. In a case where the lever is dented or pushed, the push bar starts a system where the door gets unlatched. In many emergency cases, confusion sets in and people experience difficulty in taking actions like unlocking doors. The device therefore gives room for them to just push on it for easy departure. 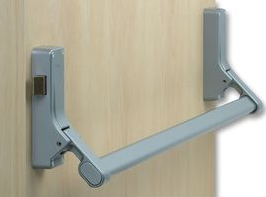 This mechanism is by all means user-friendly and can therefore be installed for both work places and homes. The work places can either be small institutions or huge organizations whereby the safety of workers is ensured. Nearly everyone has utilized or seen an exit device at one point in their lives. There are many models of exit devices available in the market today but the most commonly used ones are cross bars and touch bars. 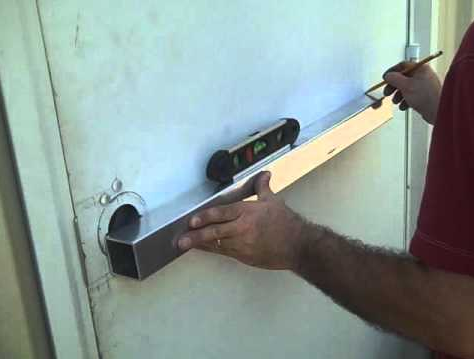 Both lie perpendicularly across doors, just above the waist height and have the appearance of a straight bar that is connected to the lock of the door. Their purpose is to enable easy departure in the case of an emergency as well as provide an exit for those inside while maintaining the door locked to the ones outside. When installing, always choose panic devices that can be easily installed, inexpensive to replace and repair. A crossbar rim device for instance is easiest in terms of assembling. If one does not however like it, one may choose the push pad rim device. These are suitable for the highly-trafficked buildings. As can be noted below, the devices offer a number of advantages to their installer. Safety is the primary advantages of using push bars. It ensures that in case of an emergency the building can be easily evacuated. This is possible due to the fact that the push bar has been installed successfully in the exit which in turn keeps the door locked while keeping an eye on the trespasser to prevent any of their entry. Panic devices can be additionally fitted with alarm systems which detects unauthorized exit from a building. It is therefore important to look for a locksmith who is both experienced and talented for the device installation. This will ensure that it works properly. 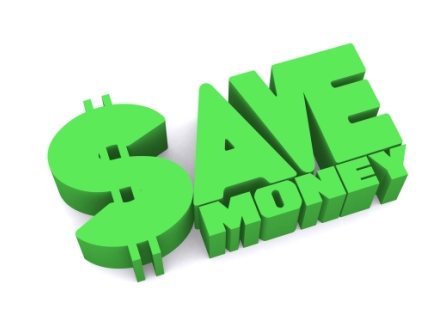 All real estate owners look for ways of ensuring safety and security while making sure the budget stays low. Push bars are the perfect long term solution regarding this issue. The reason for this is with the devices, it is easier to evacuate people in the event of a fire or any other hazard. One should however ensure the devices are installed in accordance with the set guidelines and standards. If the bars are properly installed then this could result to a reduction in all annual premiums paid. This is made possible by the fact that the premium amount paid is dependent on the risk happening likelihood. Compared to normal doors, exit devices are less expensive. If one is installing more than one panic bar, the locksmith can offer a discount on the final cost. One should also source the materials or parts from any trusted supplier selling the panic devices at reasonable prices. Panic bars have proved over and over again to be both efficient and effective. This is why installing them is a major requirement in a variety of homes and commercial buildings all over the world. For some buildings in fact, the installing the bars has been made compulsory. Some tragic situations that have happened in the past in various parts of the world could have been less tragic if the bars could have been installed. This is especially so in learning institutions or movie theaters where exit devices were not installed on emergency doors. These bars provide efficient and faster ways of evacuating people from facilities. Evidently, every property requires proper panic devices that provide quicker and easier release where security and safety is ensured. They should also be able to provide immediate escape routes whenever necessary. They also should be aligned systematically whereby they comply with regulations that are current by showing optimal dependability, convenience, reliability and being clearly visible to anyone entering certain areas or rooms. 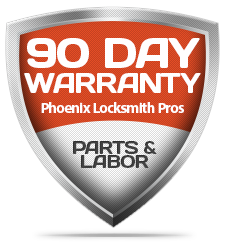 All in all, panic devices should be primary to your home or workplace and should be installed by professionals like Phoenix Locksmith Pros.